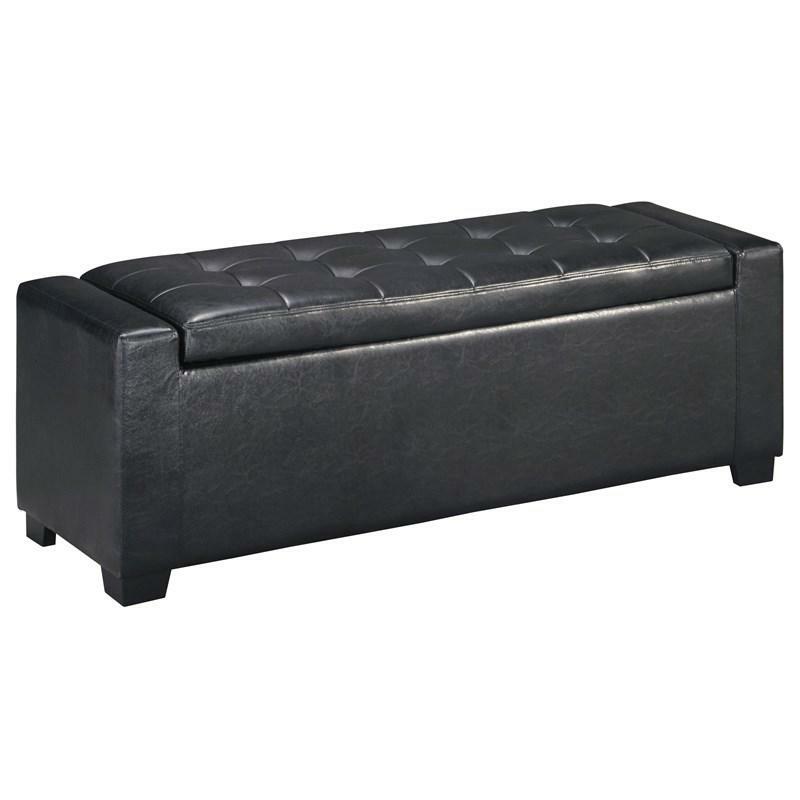 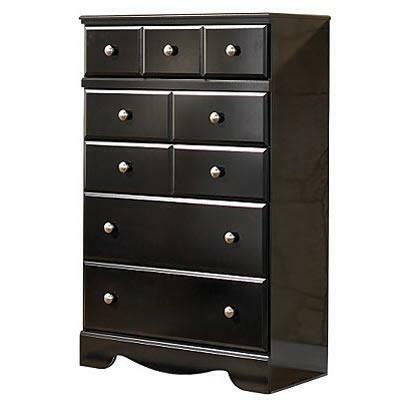 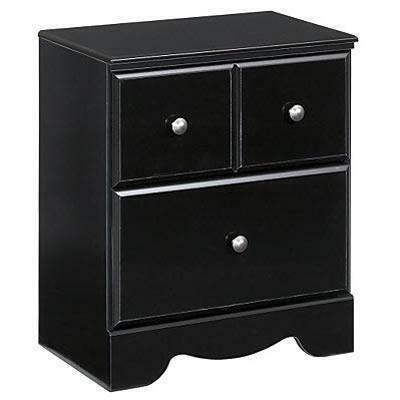 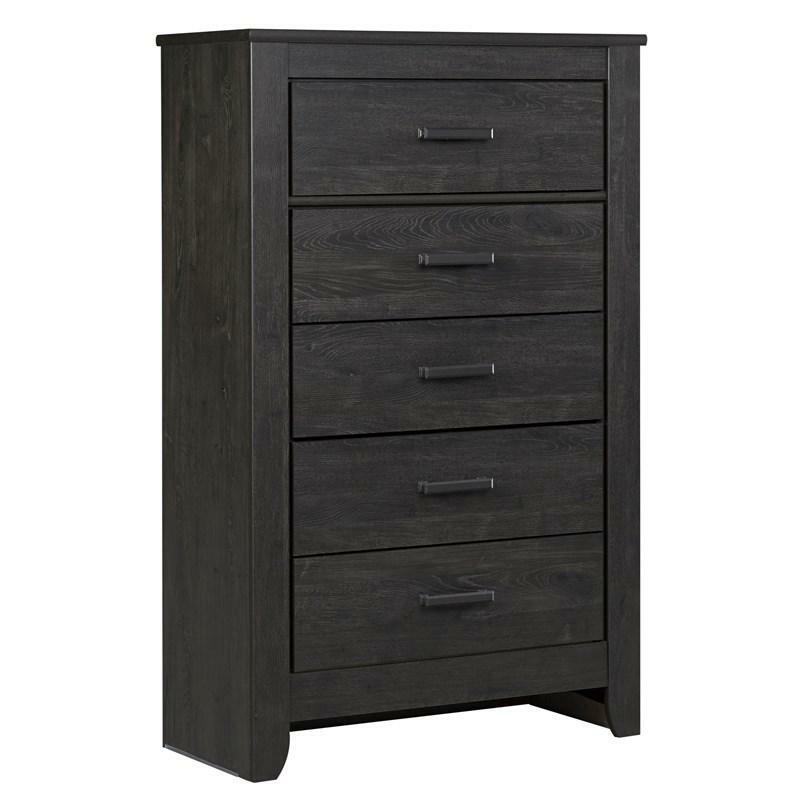 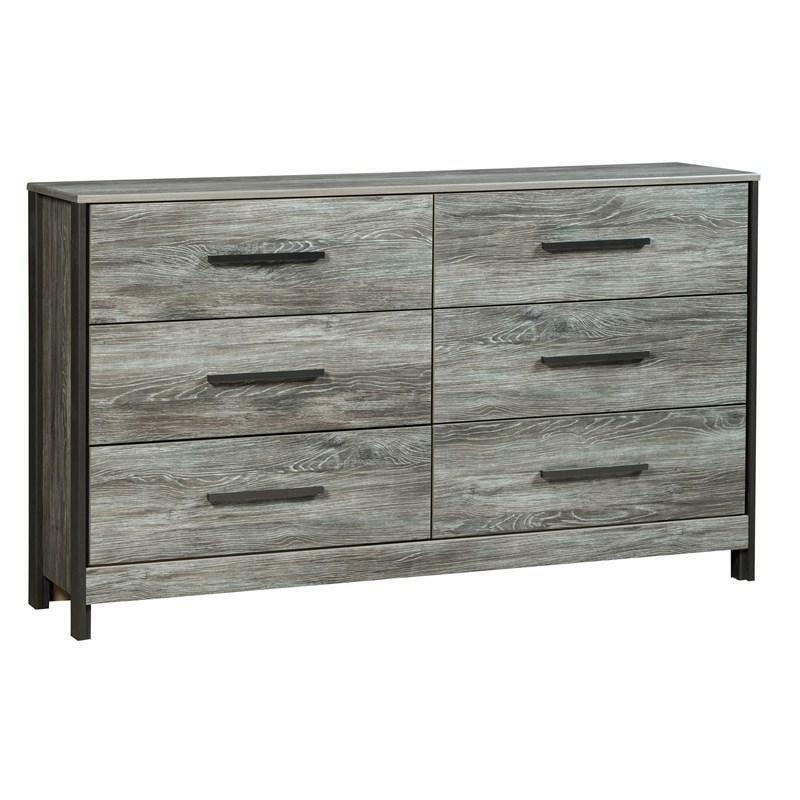 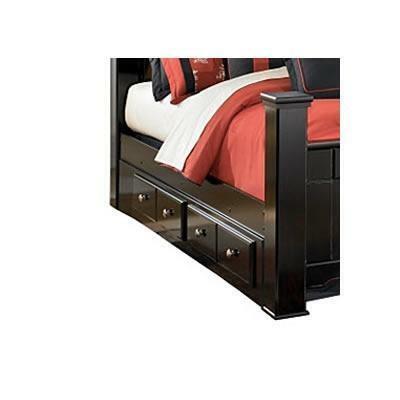 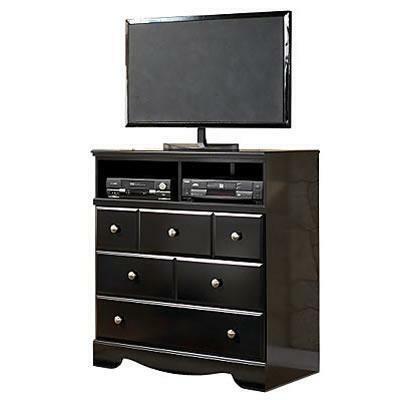 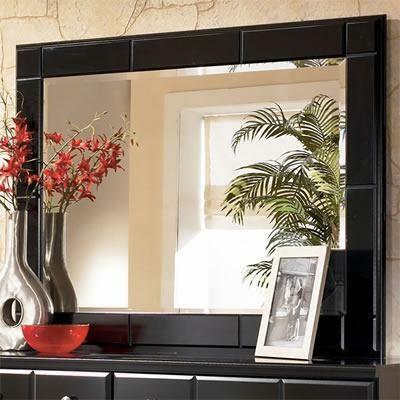 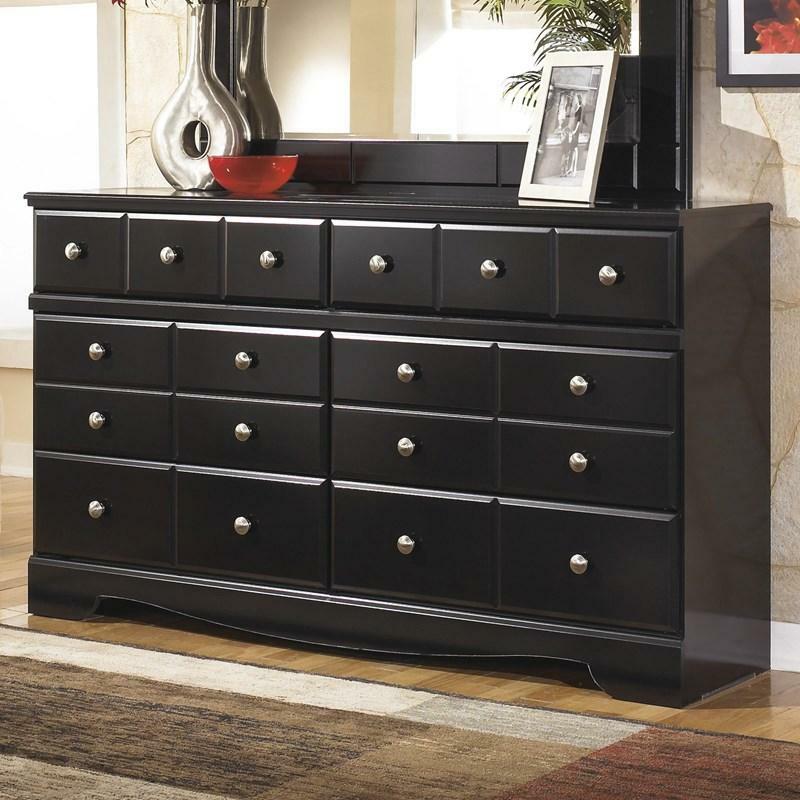 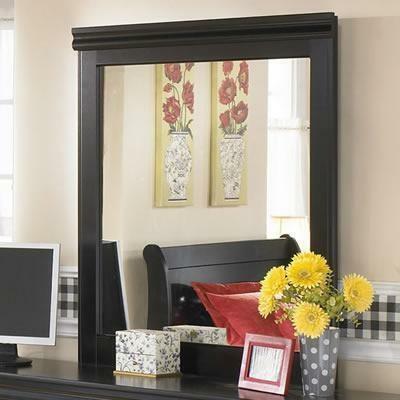 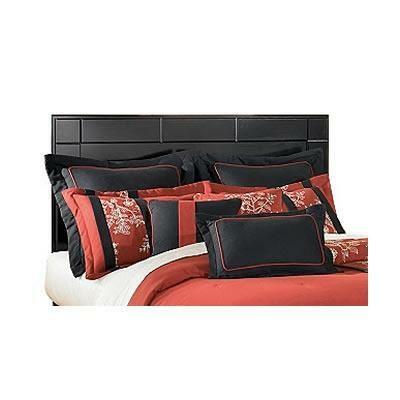 Signature Design Bed Components Shay B271-50 (Underbed Storage Drawer) from Trends Furniture, Inc. 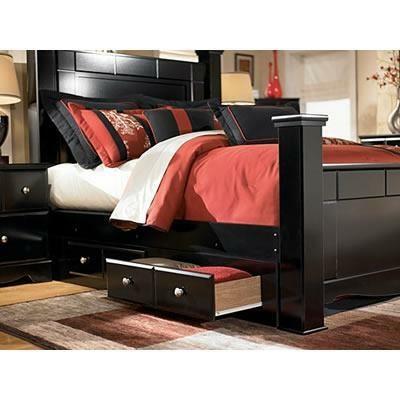 The Shay Queen/King Bed Storage brings together a rich dark finish with the sophisticated detailing to create furniture that is sure to awaken the decor of any bedroom with stylish contemporary flair. 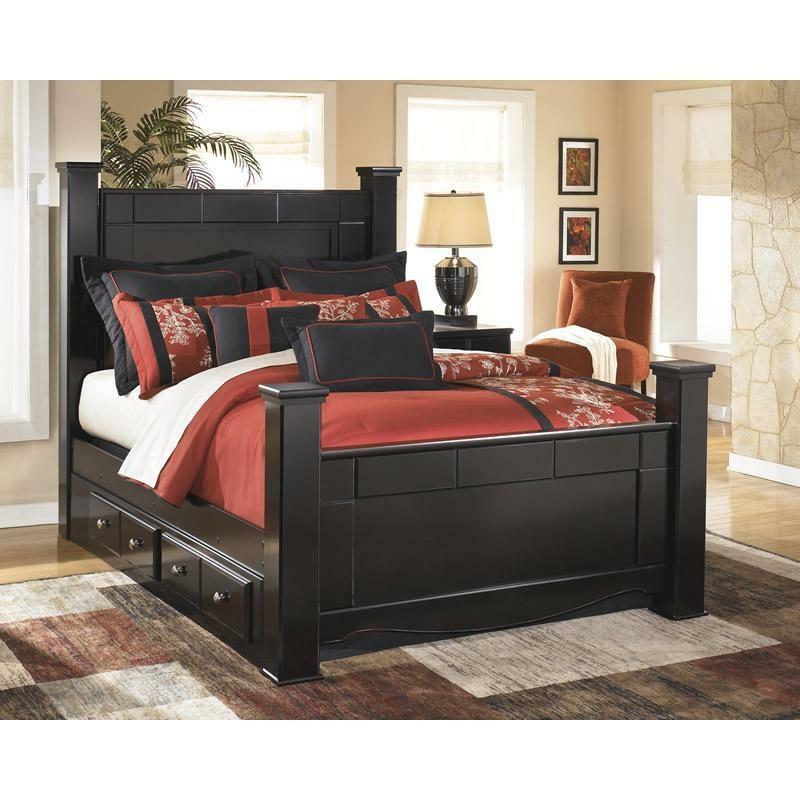 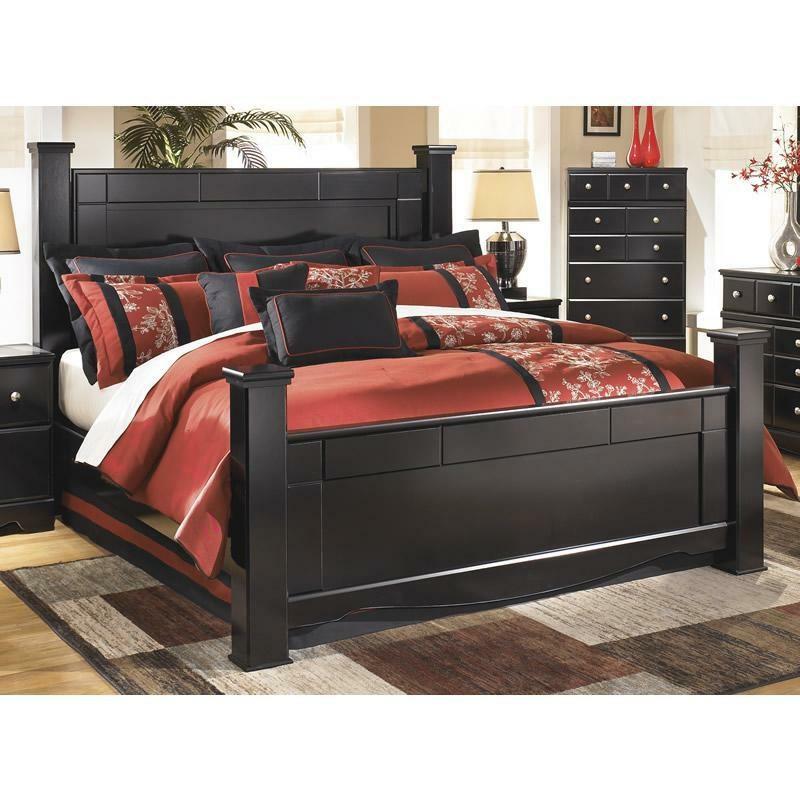 The contemporary black finish features a rich merlot undercoat which flows beautifully over the Swooping shaped base rails and the straight-lined design with wide segmented details framing the bed.